When in Vienna I generally go out a little before sunrise to shoot some of my favorite out-of-the-way spots in the Inner City. Last week I had only two rain-free mornings so I was not able to visit everything on my list, but I still managed to come away with a few I like. #1 - Renaissance architecture is not common in Vienna. Between the Turkish siege of 1529 and the Counter-reformation, most of the imperial funds were not invested in new construction. 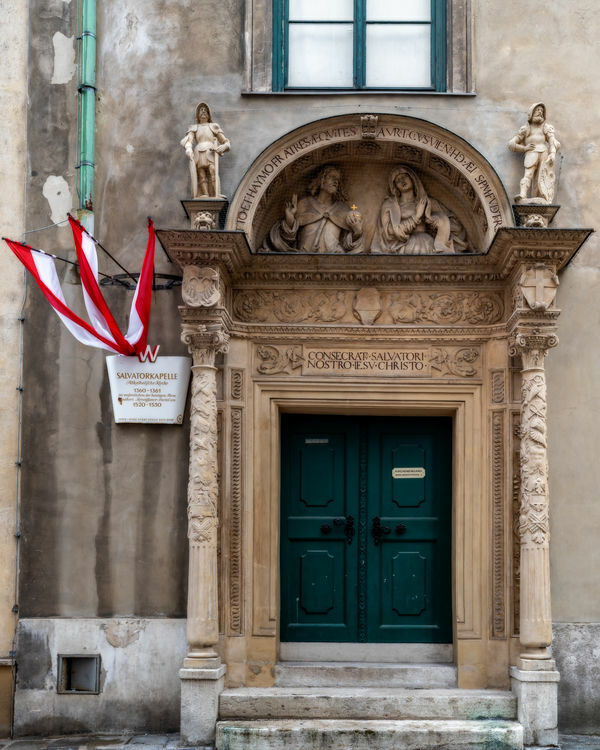 The Salvatorkapelle, a church dating to the mid-14th century, added a side portal in about 1520 and it is a gem of Italian Renaissance style. This used to be nearly impossible to photograph due to the presence of a parking spot that was always occupied. I few years ago the city widened the sidewalk and eliminated the parking spot. This was an 8-frame pano. #2 - One of my favorite little streets is Kleeblattgasse. 3-frame pano, a little before sunrise on a very dark, overcast morning. 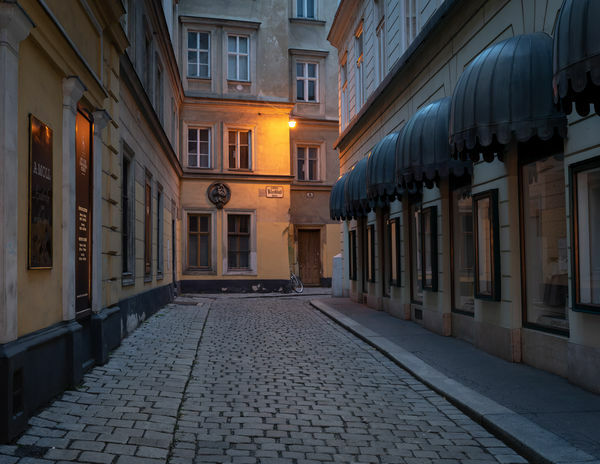 #3 - This is Kleeblattgasse as I shot it in September of 2016, a little after sunrise. Shot with an 18-140 on my old D7200. I like this composition better. These are great. Similar to the side streets in Ljubljana. 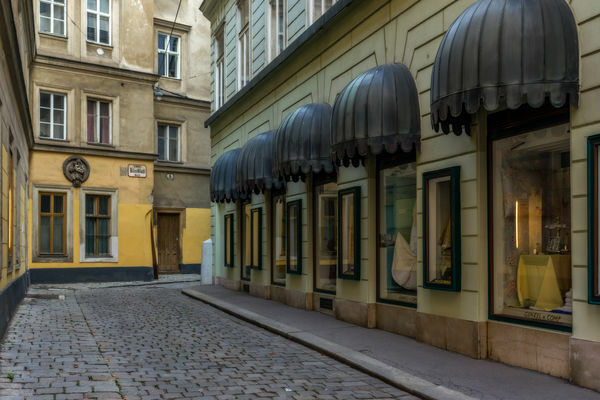 I love your shots of the Kleeblattgasse. Can you tell me how you did #2? I've never done a pano, but I think of them as long horizontal images. Yours is almost square!? Thanks for the wonderful tours! I shot three vertical frames on #2. On #1 I shot 8 landscape, 4 on the left half stacked and 4 on the right. I spent five years of my early childhood in Vienna. It's truly an ageless city! Thanks for the reminders. Really nice, I love #2. Lovely shots. I have a trip to Vienna coming up.